Meanwhile, a CEO and the manager of a restaurant he frequented were fined for insider trading. The Securities and Exchange Commission charged HSBC’s Swiss private banking unit with providing unregistered services to U.S. clients. Also among recent enforcement actions by the SEC were charges against a then-CEO snd his close friend for insider trading and against father and son executives at a penny stock company for issuing phony press releases to drive up the price of the stock so they could sell their shares. The SEC has charged the Swiss-based private banking arm of HSBC with violating federal securities laws by failing to register with the agency before providing cross-border brokerage and investment advisory services to U.S. clients. To settle the charges, HSBC Private Bank (Suisse) has agreed to admit wrongdoing and pay $12.5 million. According to the SEC, HSBC Private Bank and its predecessors began providing cross-border advisory and brokerage services in the U.S. more than 10 years ago, accommodating as many as 368 U.S. client accounts and collecting fees totaling approximately $5.7 million. Personnel traveled to the U.S. on at least 40 occasions to solicit clients, provide investment advice and induce securities transactions. These relationship managers were not registered to provide the services they rendered, nor were they affiliated with an RIA or a broker-dealer. The relationship managers also communicated directly with clients in the U.S. through overseas mail and emails. In 2010, HSBC Private Bank decided to exit the U.S. cross-border business, and nearly all of its U.S. client accounts were closed or transferred by the end of 2011. 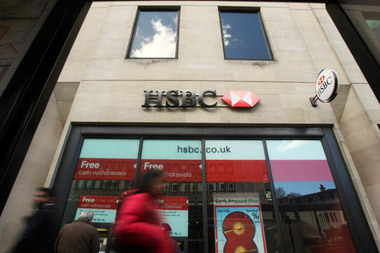 The agency said that HSBC Private Bank understood the risk of violating the federal securities laws by providing unregistered broker-dealer and investment advisory services to U.S. clients, and the firm undertook certain compliance initiatives in an effort to manage and mitigate the risk, including the creation of a dedicated North American desk. This was designed to consolidate U.S. client accounts among a smaller number of relationship managers and service them in a compliant manner that would not violate U.S. registration requirements. However, relationship managers didn’t want to lose clients by transferring them to the North American desk. As a result, HSBC Private Bank’s internal reviews revealed multiple occasions when U.S. accounts that were expected to be closed under certain compliance initiatives remained open. HSBC Private Bank has agreed to admit the facts in the SEC’s order, acknowledge that its conduct violated the federal securities laws, and accept a censure and a cease-and-desist order. The firm also agreed to pay $5,723,193 in disgorgement, $4,215,543 in prejudgment interest and a $2.6 million penalty. The SEC has charged William Redmond Jr. and his friend Stefano Signorastri with insider trading after the former shared insider information with the latter about nonpublic merger discussions at GenTek Inc., an engineering and chemical company where Redmond served on the board of directors in addition to being CEO. Signorastri managed a New York restaurant where Redmond ate frequently. The two became good friends, and Redmond ended up talking with Signorastri about personal matters as well as his work at New Jersey-based GenTek. His conversations included information about GenTek’s nonpublic negotiations to find suitors for a company sale, which Signorastri then acted on. According to the SEC, Signorastri first purchased GenTek stock after Redmond disclosed material nonpublic information about company negotiations. A year later, he bought more GenTek stock while the company began serious negotiations with American Securities LLC. Two business days after Signorastri’s last stock purchase, GenTek announced it would be acquired by American Securities in a tender offer, and its stock price shot up by nearly 40%. Signorastri sold all of his GenTek shares. Signorastri wasn’t the only one to benefit from Redmond’s loose conversation; a waiter at Signorastri’s restaurant and the manager at another restaurant where Redmond held a meeting with American Securities representatives also bought stock on the strength of insider information, selling when the acquisition was made public, and combined made $6,162. While neither admitting nor denying the SEC’s charges, Redmond and Signorastri have agreed to settle them and to pay more than $324,000 to do so. Redmond agreed to pay disgorgement of $149,139—the $6,162 made by the waiter and the other manager, and most of Signorastri’s trading profits—and to pay prejudgment interest of $26,052 and a penalty of $64,821 for a total of $240,012. In addition, he agreed to be barred from acting as an officer or director of a public company for five years. Signorastri agreed to disgorgement of the remaining $21,283 of his profits, as well as prejudgment interest of $3,717 and a penalty of $59,609 for a total of $84,609. The settlement is subject to court approval. Father and son Robert and Marc Benou, then CEO and company president of New Jersey-based Conolog Corp., were charged by the SEC with issuing phony press releases to push up Conolog’s stock price. They then dumped thousands of their own shares on the market. According to the agency, Conolog’s public filings say that it manufactures communications equipment primarily for use by electric utilities, fiber optic service providers and the military. In early 2010, the company issued three consecutive press releases filled with bogus information, courtesy of Robert Benou with the assistance of Marc Benou. In the releases, the Benous inflated a $50,000 total of new equipment orders into $1.9 million, made it appear as if the company had developed new fiber optic technology that was fully vetted and ready for commercial use and sale and touted nonexistent third-party field testing. Then the Benous hired a PR firm to promote this “news” — after which they took advantage of the increase in the company’s sale price to make profits of more than $81,000 in undisclosed stock sales. They also hid their actions to keep other investors in the dark. Robert Benou agreed to settle the charges without admitting or denying the allegations by paying $77,490 in disgorgement of illegal profits made from selling Conolog stock as the releases were issued. He also must pay prejudgment interest of $12,400 and a penalty of $177,490, and will be permanently barred from acting as an officer or director of a public company or participating in penny stock offerings. Marc Benou agreed to settle the charges by paying disgorgement of $4,191 plus prejudgment interest of $671 and a penalty of $51,250. He will be barred for at least two years from acting as an officer or director of a public company or participating in penny stock offerings. — Check out Citigroup to Pay $15M FINRA Fine Over Research Leaks on ThinkAdvisor.